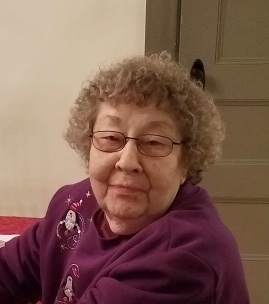 Annette E. (Lambert) Lussier, 86, of Hopedale, passed away Wednesday, November 21, 2018 after a period of declining health. She was the wife of the late George J. Lussier Jr. who passed away in 2005. She was born in Uxbridge, November 18, 1932, daughter of the late William A. Lambert Sr. and Blanche (Lajoie) Lambert. She was educated in the Good Shepard Parochial School in Uxbridge. She was employed at the former Porter Shoe Company, former Herman Shoe Company and also was employed at General Electric. Mrs. Lussier enjoyed spending summers camping at Canoe River Campground. She loved her family and friends, flowering plants and classic movies and the Red Sox. She is survived by her daughters, Victoria and her husband Jeffery Allen of Blackstone, Juliette Lussier of Hopedale, two step-daughters, Deborah and her husband Stephen Cafarelli, Mary Ann and her husband David Bertulli all of Milford, one sister Blanche Lee of Mendon, one sister-in-law Claire and her husband Jay Carpenter of FL, four grandchildren, Courtney Bertulli and her partner Rob Jose of Franklin, Brittany and her husband Marc Pessotti of Hopedale, John Cafarelli and his partner Pam Moriarty of Randolph, David Cafarelli of Newton, three great grandchildren, Lyla Pessotti, Leo Pessotti, and Elyse Pessotti all of Hopedale, several nieces and nephews. She was predeceased by her brothers, William Lambert Jr., Ernest Lambert and Roland Lambert. A funeral home service will be held Tuesday, November 27, 2018 at 10 A.M. at the Consigli Ruggerio Funeral Home 46 Water St. Milford MA. The burial will follow in the Massachusetts National Cemetery in Bourne MA. A calling hour will be held prior the funeral home service from 8:30 to 9:30 A.M.
Julie, Vicky, and family, my deepest condolences on the passing of your mother. She was a kind and gentle lady who enjoyed her family dearly. I pray you find both comfort and strength in the days to follow. She, like your dad will always be your guardian angels.